The best selfie-centric smartphone in this budget right now. The software optimisation is very impressive and you&apos;ll not notice a single lag. Realme U1 is a perfect device for those who click tons of selfies. The battery life is excellent and so is the performance. Go with it without any second thoughts. I got this phone because of the fact that it is selfie focussed. My sister clicks tons of selfies so i decided to get her this for her birthday. Since I am a tech geek, I decided to use this for couple of days haha. Realme did a great job with this phone. A good power packed phone for budget tight consumer. This phone is perfect for those who click tons of selfies. I was totally surprised to see the outcome of the daylight selfies. It was really soft and picture accurate just the way I like it. Although the rear camera is not that impressive. You&apos;re going to like the overall premium design which sometimes feels cheap but that is expected at this price. Realme did an amazing job with this phone. I am now officially a Realme fan. This phone is far better than any other Xiaomi smartphone. Totally loving it. Although I am facing some issues adjusting to the Colour OS which according to me is not that fluent and clean. Hoping to see some vast changes from Realme in future. I am in love with the front camera of this phone. It clicks mind blowing selfies and i guess is the best one at it at this price. I went with this phone instead of typical Xiaomi one. I guess it was a good decision. The phone not only looks premium but handles my heavy multi-tasking with ease. A perfect phone for selfie lovers havung budget price bracket. I got this phone for my sister because she loves to click selfies. I saw some online reviews and it turns out this phone is specially designed for selfies. I decided to buy it. I am liking the overall phone design, cameras and battery life. The only thing which bugs me the most is the crappy UI. That&apos;s the reason why I didn&apos;t buy this phone for myself. 6 Pricebaba users have written their experience with Realme U1. If you own Realme U1, please do leave your feedback too. 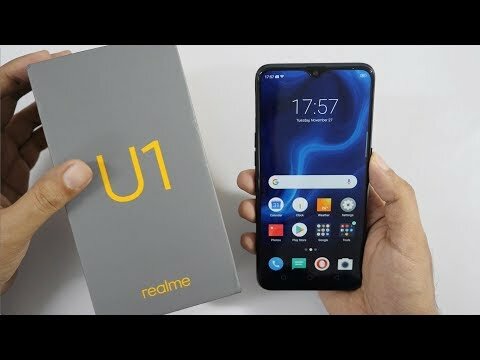 Lowest price of Realme U1 price in India starts at Rs. 9,999 Realme U1 is available on Flipkart at Rs. 10,597 and on Amazon at Rs. 9,999. Prices updated on 19th April 2019. On the display front, the Realme U1 rocks a 6.3-inch screen bearing a FHD+ resolution. The display is layered with Corning Gorilla Glass 3 which ensures durability. There is a dewdrop notch on the top which provide 90% screen-to-body ratio. A fingerprint scanner is located on the back of device. The Realme U1 ships in three color variants i.e. Ambitious Black, Brave Blue, and Gold. On the imaging front, the Realme U1 features a dual camera module comprising of 13MP primary + 2MP depth sensor. For selfie enthusiasts, there is a 25MP Sony sensor fitted on the front. The camera is driven by AI features for enhancing the pictures. The device also supports slow-mo video recording at 60fps. Coming to the internals, the Realme U1 is equipped with a MediaTek Helio P70 SoC. The processor is coupled with 3GB RAM. It offers 32GB internal memory with an option to expand up to 256GB via micro SD card slot. The Realme U1 runs on Android 8.1 Oreo OS with custom ColorOS 5.2 skinned on the top. The Realme U1 is backed by a 3500 mAh battery unit. On the connectivity front, the device features all the basic options like 4G LTE, 3G, 2G, WiFi, & Bluetooth.